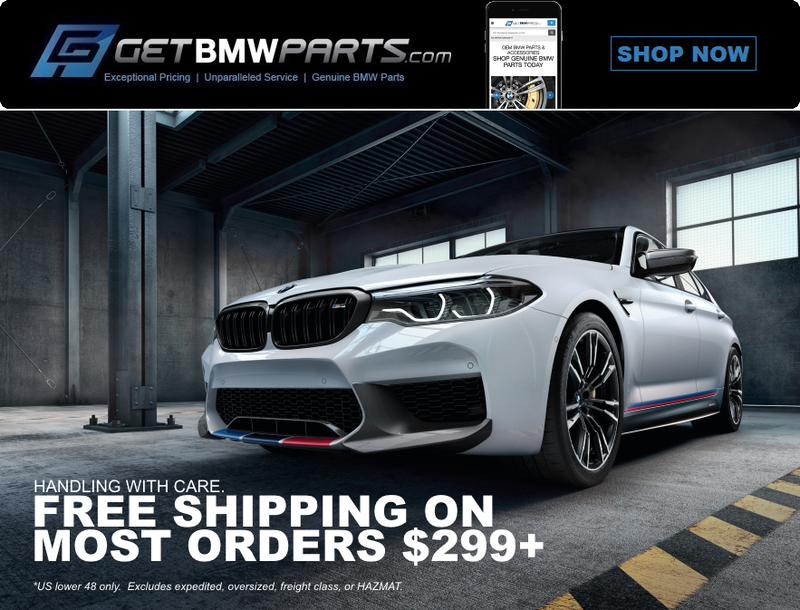 BMW 3-Series (E90 E92) Forum > E90/E92/E93 Marketplace (For Sale / Trade / Wanted) > SPONSORS Classifieds/Groupbuys/Specials Area > Suspension & Brakes & Handling Upgrades > getBMWparts.com | Genuine OEM BMW Parts + FREE SHIPPING on Most Orders $299+!!! Don't miss FREE US ground shipping on most orders $299+ for a limited time! !